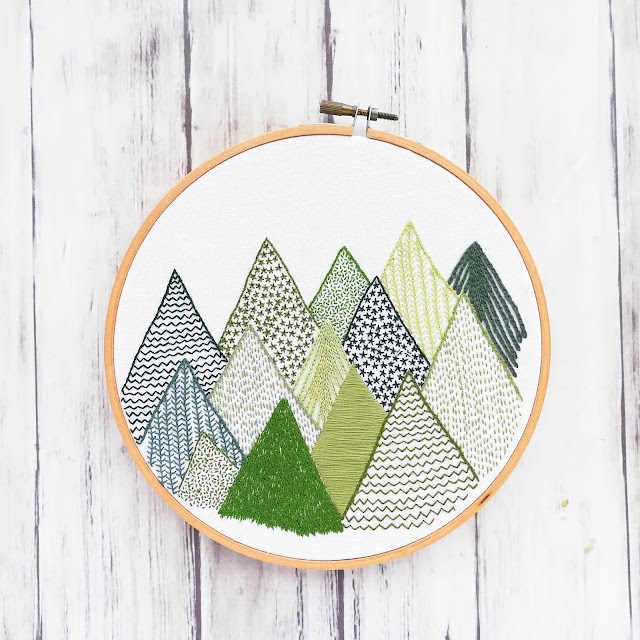 I'm so happy to share this month's A Lively Hope Stitching Club pattern with you! I have been dreaming up this pattern for months and it was so fun to see it all come together. It's based on the forests of evergreen trees that fill my beloved Utah mountains. This was such a fun pattern to stitch! 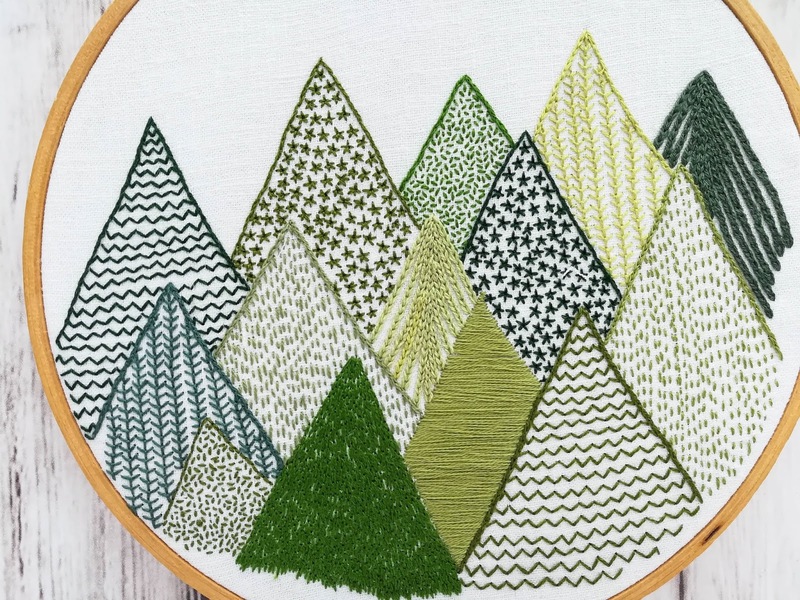 The different shades of green make me so happy, and it's got enough variety in stitches that I never got bored! In order to receive this free pattern, sign up for the newsletter below. I've also opened up PRE-ORDERS for kits (including the pattern pre-printed on fabric, all the thread required for the project, detailed instructions and a card to organize your thread). They'll be mailed out in 2-3 weeks. 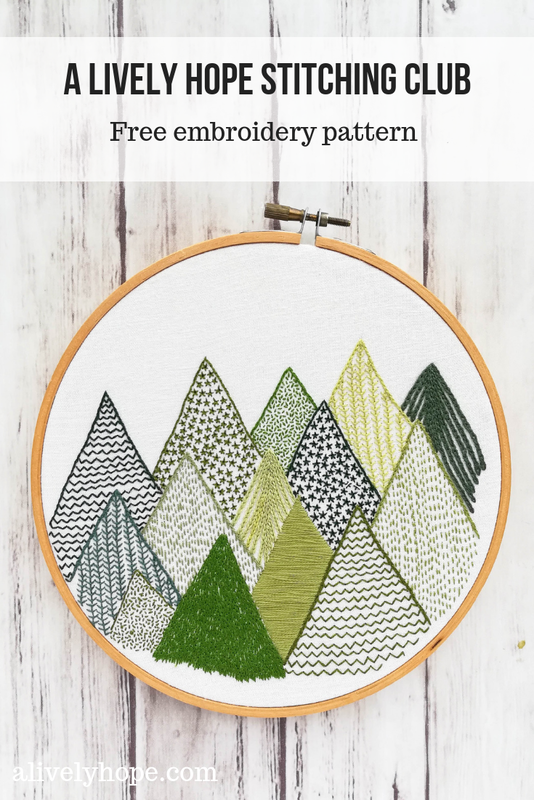 If you want to receive a free hand embroidery pattern delivered right to your inbox each month, sign up here. 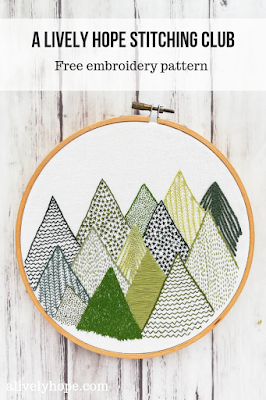 To see all of the A Lively Hope Stitching Club patterns, click here. I would LOVE to see your finished piece! Share a photo and tag me on Instagram.